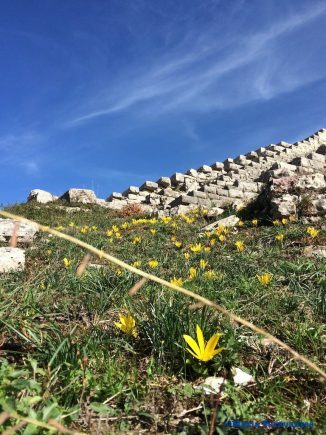 It’s a land of tales and legends, music and silence, song and dance, dragons and towers… welcome to Epirus, the northern Greece region which is finally coming out of seclusion and opening up to the seasoned traveler seeking that special “other” experience. Offering the best of all (travel) worlds, Epirus is a dream come true for those restless souls who simply want it all, whether it’s rafting in white waters, indulging in rare mushrooms, climbing demanding slopes, swimming in crystal waters, or discovering the secrets of the ancient world, Epirus has it all. 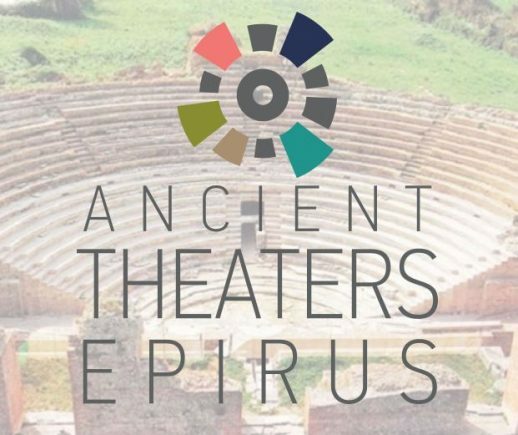 To bring it all together, the regional authority of Epirus recently launched the Ancient Theaters of Epirus cultural route, which taps into history and culture as a doorway to the full Epirus experience – complete with gastronomy, sports, adventure and religion, giving visitors a sense of ‘direction’, an incentive of sorts to get going. Five ancient theaters across Epirus’ four regional units which had fallen silent for centuries have been – or are in the process of being – restored serving as a base from which to begin the exploration of Epirus. 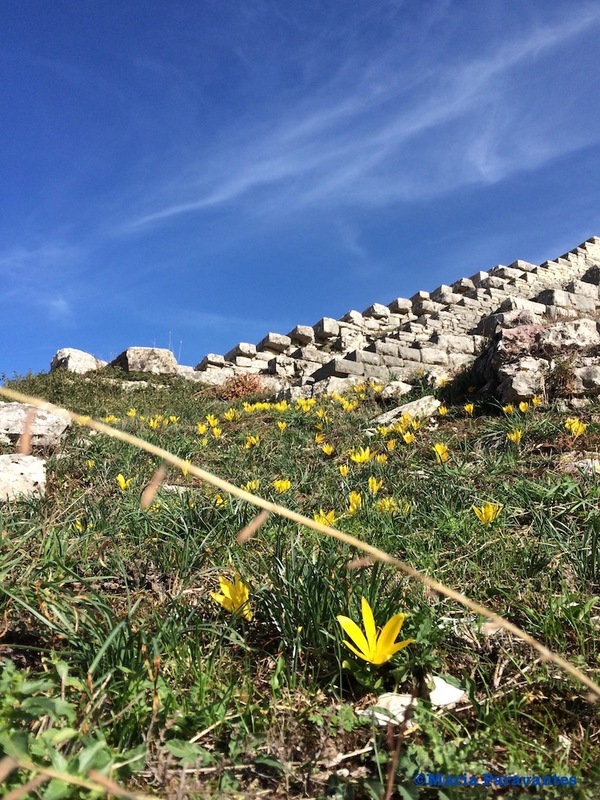 Add to this the region’s archaeological sites, Byzantine churches and medieval castles dating as far back as 2,500 years ago, and the Ancient Theaters of Epirus route is the ideal way to start the adventure. GTP Headlines was fortunate to experience the ancient world’s wonders and shares some insight for the keen traveler. Before we start our tour, let’s whet the appetite with a bit of Epirus travel trivia. Remember Nero, the emperor of Rome said to have watched Rome burn the ground while he fiddled with his fiddle? Well, legend has it he also competed and sang (and of course won, he was an emperor, after all) at the Theater of Nikopolis. Another favourite chap in history, Napoleon Bonaparte, was said to have envied the warmth of the traditional Epirot cape, known as the “Syrrakiotiki Kapa” – that he had dozens ordered for his army. The woolen capes were made by craftsmen from the villages of Syrrako and Kalarrytes near Arta. History of war: two historic naval battles, including the naval clash between Octavian and historic duo Mark Antony and Cleopatra, took place in the Bay of Preveza, leaving behind methods and strategies still used in modern-day naval warfare. So in love with his Greek wife was the ferocious Ali Pasha of Ioannina, that the blood-thirsty conqueror was said to have adorned his 18th-century living room with Gobelins Manufactory tapestries – the Paris-based factory supplying France’s monarchs, including Louis XIV. King Pyrrhus of Epirus is considered one of the greatest military commanders of all time. The mercurial Greek statesman and general has lent his name to the “victorious battle of heavy losses” known today as “Pyrrhic Victory”. To the theaters then, shall we? In the unit of Thesprotia near the port of Igoumenitsa once stood the city of Gitana which was ravaged by the Romans together with 70 more Epirus towns. Serving in the 4th century BC as the capital of the Thesprotians, one of the three main tribes of Epirus, the defensive and commercial city beside the Thyamis River ensured access to the sea, and was designed by ancient Greek architect and urban planner Hippodamus of Miletus, complete with public buildings and a theater. 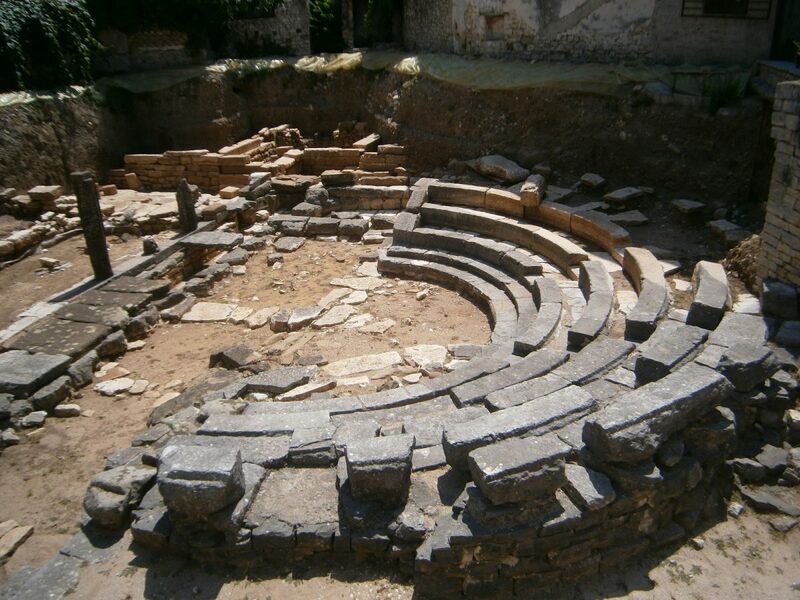 Excavations in the late 1980s brought to light the small theater of Gitana which not only hosted theatrical works, but also political assemblies. It is here, in this tiny theater that the names of slaves and the people who set them free are engraved in the marble of the seats going down in history as a sign of equality and compassion. With a seating capacity of 6,000, this ancient Epirus theater in the Preveza regional unit has the most awe-inspiring view of them all. 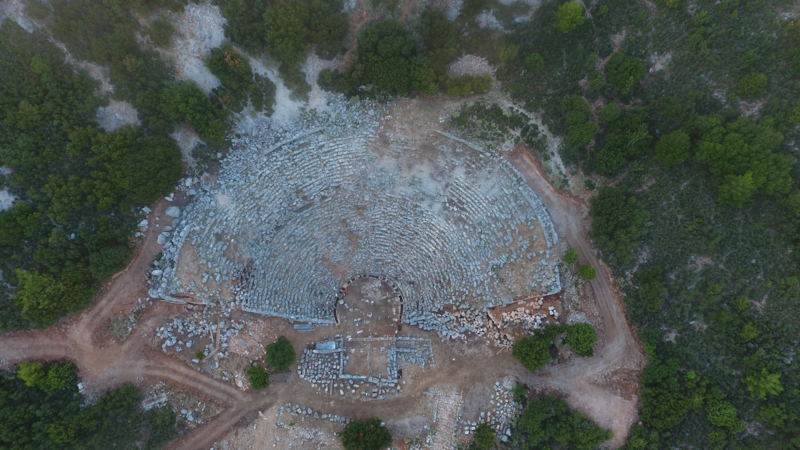 Built on a plateau overlooking the Amvrakikos Gulf, the Ionian Sea and the island of Lefkada, the 3rd century BC Ancient Theater of Kassopi was constructed beneath the acropolis. The roads up to the theater are lined with completely preserved ancient homes, the agora and public buildings in perfect alignment – Hippodamian grid style – according to the urban planning of Hippodamus of Miletus. The city was abandoned in the 1st century BC, when its inhabitants were forced to move to Nikopolis. Restoration works began in the 1950s. To mark his victory against Mark Anthony and Cleopatra in the naval battle of Actium in the Amvrakikos Gulf, Octavian, the first emperor of the Roman Empire – known as Augustus – built Nikopolis, the City of Victory (Nike). Claiming Apollo as his patron god, Octavian also revived the Actian Games in the god’s honor which called for the construction of a stadium, a gymnasium, two bathing areas, an odeon, and a theater, to host besides athletic feats and contests, music and poetry events. 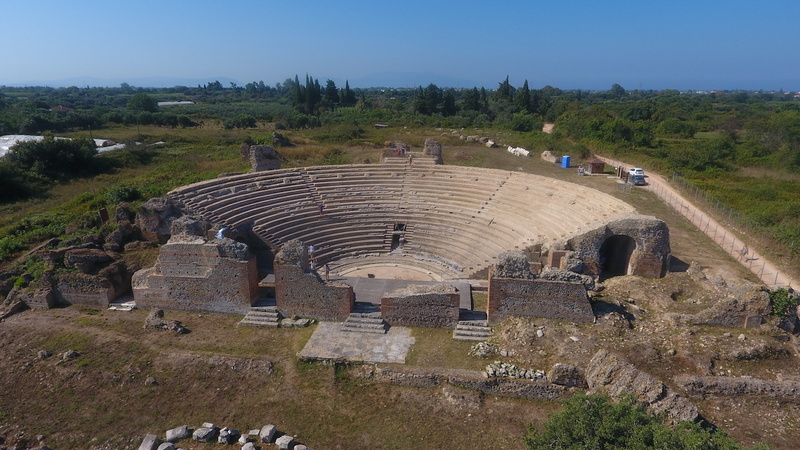 The 77-row, 5,000-seat Theater of Nikopolis located on a small bay of the Gulf of Arta near Preveza, was built in the 3rd century BC. Excavations began in the 1960s. 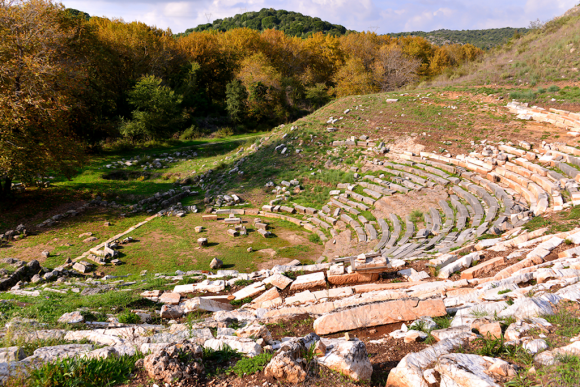 Located in the the heart of modern-day Arta, this tiny theater was built in 318 BC by King Pyrrhus of Epirus after transferring his kingdom to Amvrakia. Eager to create a grand city fit for a king, he decorated it with exquisite works of art and glorious buildings, including two theaters, only one of which remains in tact and the smallest theater ever discovered in Greece: the Ancient Theater of Amvrakia. The compact theater was used as an assembly venue for administrative, political and religious matters. Besides the theater, which was unearthed in 1976, findings include the foundations of houses and baths dating to the 5th-4th centuries BC. 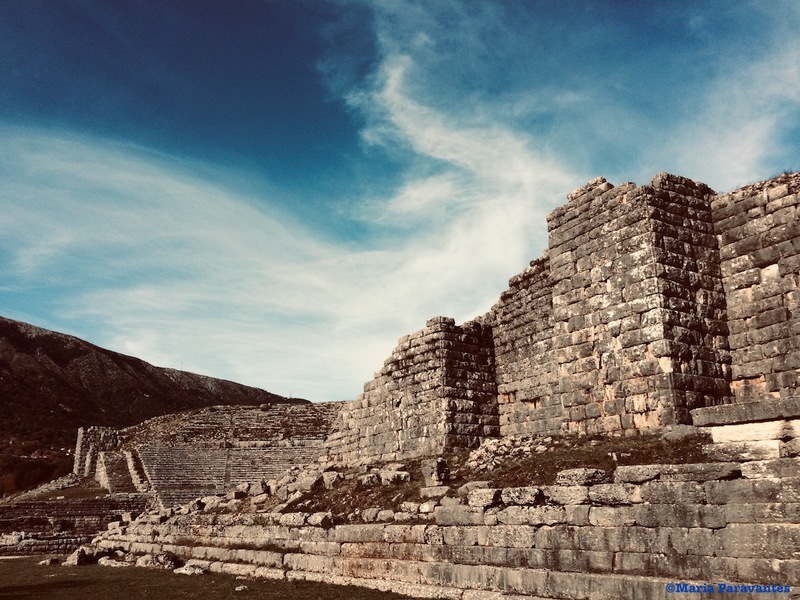 And we come to the end of our Epirus adventure with the queen of all theaters: the Ancient Theater of Dodoni, the earthly residence of Zeus and the oldest oracle in Greece, dating as far back as the second millennium BC. 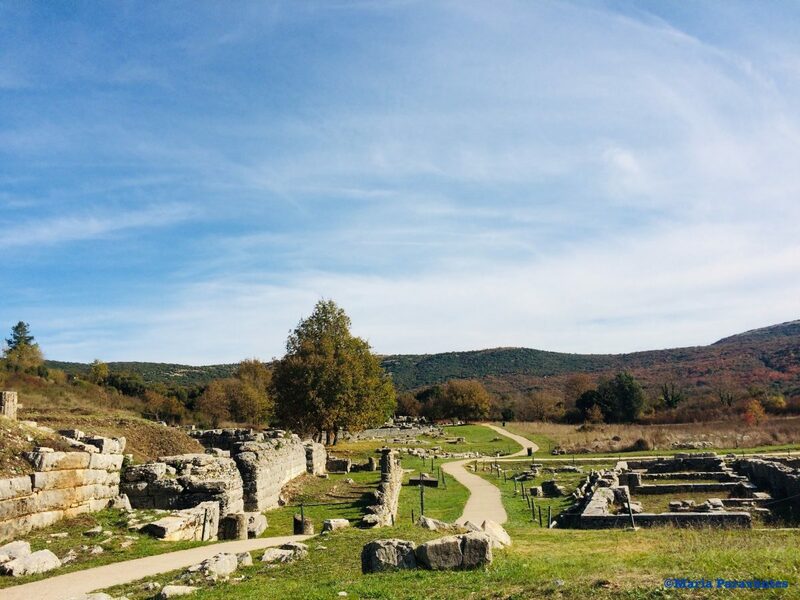 Located in “a land of rich meadows, and rich in flocks and shambling kine” according to ancient poet Hesiod, the Oracle of Dodoni is considered second only to that of Apollo at Delphi. The history of the theater and oracle is rich with some scholars saying it was originally an oracle of the Mother Goddess – Rhea or Gaia – attended by priestesses. 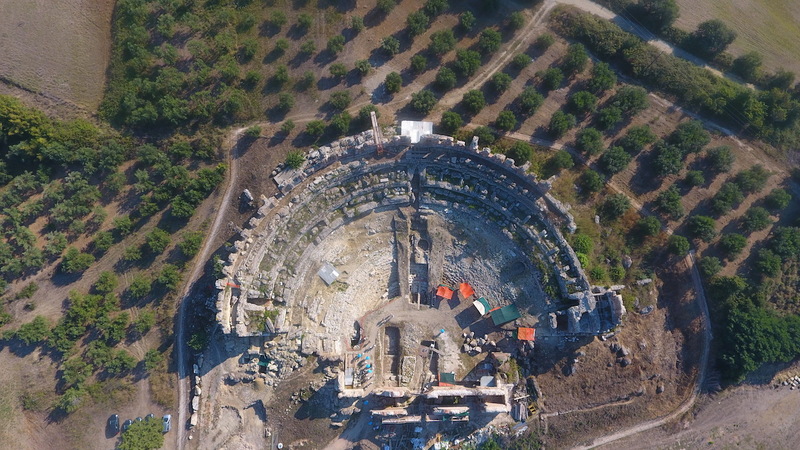 The theater, in the Ioannina regional unit, has a capacity of 17,500 seats and was constructed by King Pyrrhus in true kingly manner and ambition. From the refined poetic competitions in honor of Zeus, the theater declined in Roman times to being used as an arena hosting wild animal fights. After that, it fell silent only to emerge again in the late 19th century. 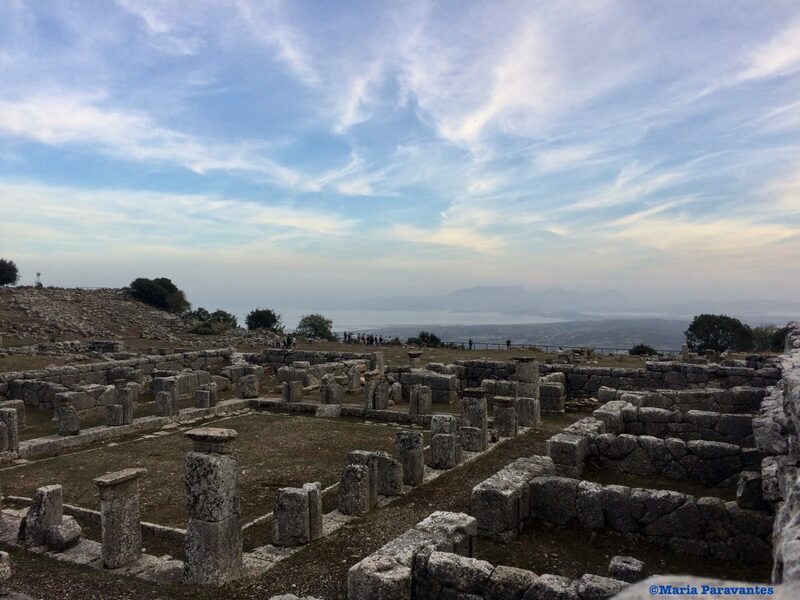 The five ancient theaters of Epirus are a wonderful way to discover the region and its wide array of options. A great deal of love and dedication have gone into unearthing, sign-posting, preserving and restoring these treasures, which demonstrate the significance of art and culture in the lives of the ancient Greeks. Today, one can easily let the imagination run wild, carried away by the sounds of the wind ruffling the leaves of the trees or by the spectacular vistas which were the very same popular ‘ancients’ the likes of Anthony and Cleopatra enjoyed some several thousand years ago.